This is a short video discussing the "Ellsberg Paradox" named for Daniel Ellsberg, of Pentagon Papers fame. Ellsberg, who spent his early career as an economist studying decision making, described this paradox that violates expected utility theory in economics. Suffice it to say, for trial lawyer purposes, the big point is that jurors are averse to ambiguity. Jurors will reject the plaintiff's case narrative if there is ambiguity about cause of the harm. A favorite defense tactic is to inject maximum confusion and ambiguity about the cause of the harm. Defendants have shown no shame in raising multiple theories of causation solely for purpose of creating uncertainty in the jurors' minds. The natural aversion to ambiguity will cause jurors to choose the default option when too many questions remain unanswered. The default option is a defense verdict. If jurors have too much uncertainty they will choose the status quo and that is to leave the parties in the position they are in when they arrive in the courtroom. Thus, the goal of discovery must be to get the defendants agree to the facts and standards by which those facts will be evaluated. The chief benefit of Friedman's Rules of the Road is that it creates certainty for the jurors. A second goal to create certainty is to establish that the defendant had numerous alternative safety choices available that would have prevented the harm. The greater choices the defendant had available to have prevented the harm, the greater the perception of fault. A third goal for discovery is to develop evidence that explains why the defendant behaved as he did. Staining the character of the defendant is a key goal. In the criminal law jurors impose guilt because of morally reprehensible intentions even though the act intending the harm was not completed. In the civil justice context, jurors who perceive a defendant having acted in his own self interest while exposing the plaintiff to danger will find the harm caused to have greater moral blameworthiness than the act that causes the same harm that is not perceived as self serving. The ambiguity bias will have less impact on jurors when a defendant is perceived as morally blameworthy and is stained with his own self concern and the lack of concern for the safety of others. And finally, framing the defendant's conduct as lowering community safety standards establishes a plaintiff's verdict as the status quo, a powerful bias we should utilize to the fullest extent. 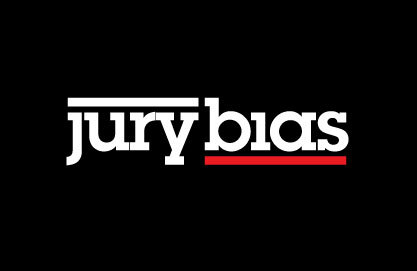 Please join us for an in depth discussion of the foregoing this summer at the Jury Bias Litigation Group on Saturday, July 9, 2011 at the AAJ Annual Convention in New York. David A. Wenner, M.S.W., J.D. primarily represents consumers of the health care industry who have been harmed as a result of medical and hospital negligence. He also consults with other attorneys as a Jury and trial consultant and conducts research and publishes on jury judgment and decision-making. He is recognized nationwide as an authority on jury judgment and decision-making and lectures frequently for continuing legal education programs. Mr. Wenner was co-chair of the AAJ/ATLA Blue Ribbon Committee to study jury bias and developed the Jury Bias Model™ through his research with Gregory S. Cusimano. He studied psychotherapy with famed psychiatrist Milton Erickson, M.D., whose work is a theoretical underpinning of the Jury Bias Model™. Prior to becoming an attorney, Mr. Wenner worked in private practice conducting individual, group and family psychotherapy. In addition, he was a social worker in a variety of community mental health and hospital settings. Together with Mr. Cusimano, he created ATLA’s award-winning “Overcoming Jury Bias” seminar. 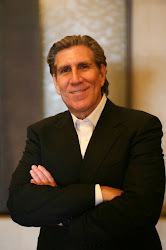 He is currently the Chair of the AAJ Jury Project and a Co-Chair of the AAJ Jury Bias Litigation Group. When is vivid evidence persuasive? Are Judges Prone to the Status Quo Bias? Simple theme. Theme images by MarkCoffeyPhoto. Powered by Blogger.